Along with its latest TV and word of more Laser TV to come, Hisense just announced that its World Cup sponsorship will snag it an exclusive version of the Fox Sports Go app. On Hisense TVs, customers will be able to stream 2018 World Cup Games in 4K and HDR, with access to as many as 37 camera angles. 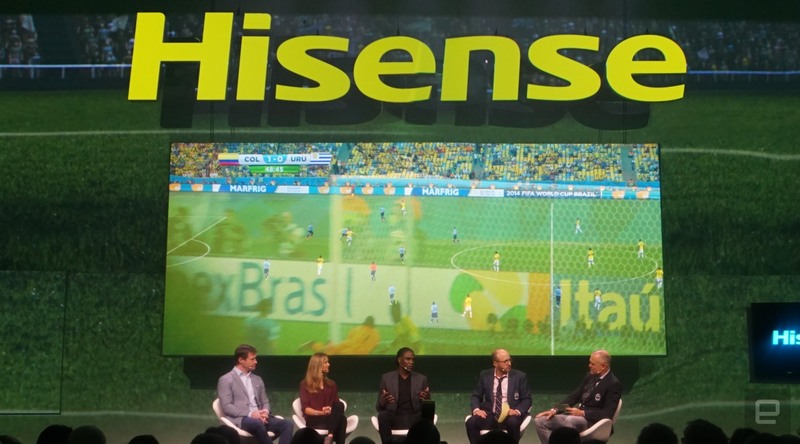 Hisense brought out the Men in Blazers, along with soccer greats like Brandi Chastain to make the announcement, and said that its app will also feature Fox's "Phenoms" soccer documentary. According to Hisense, the app's live viewing features will debut on June 14th, just in time for Russia's opening match against Saudi Arabia.